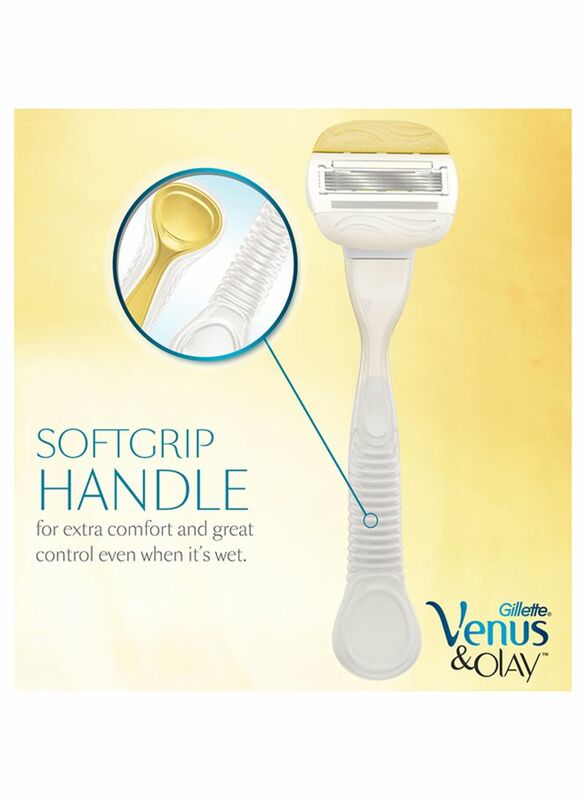 You love the feeling of soft, smooth skin, but shaving can sometimes make your skin dull and dry. 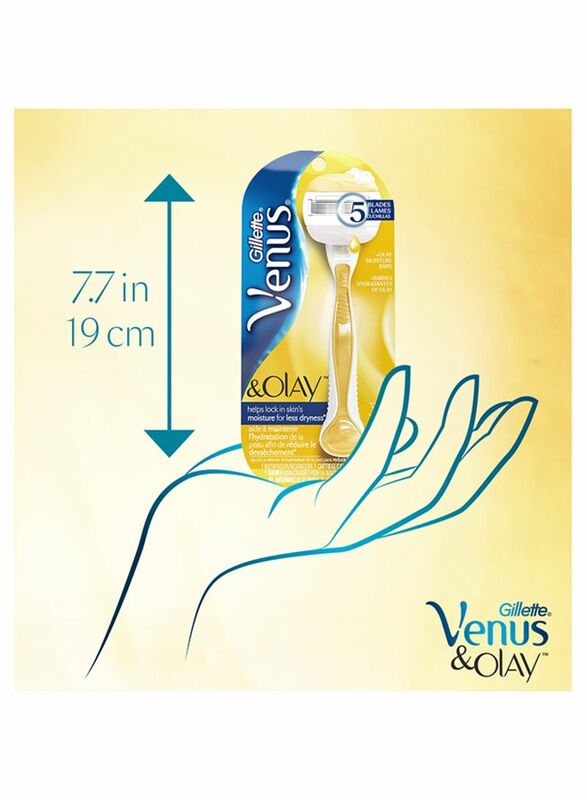 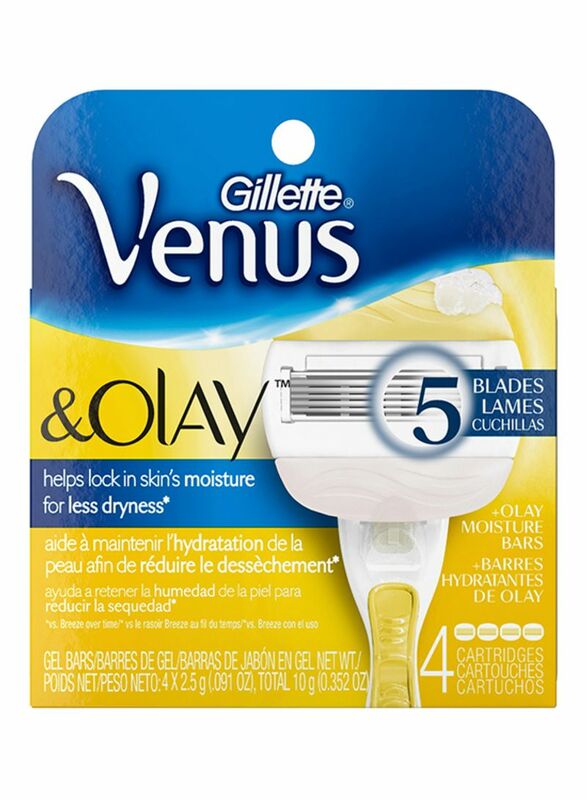 Gillette Venus & Olay women's razor blades help lock in skin’s moisture for less dryness, combining Venus best shaving technology and Olay's skin expertise in one razor. 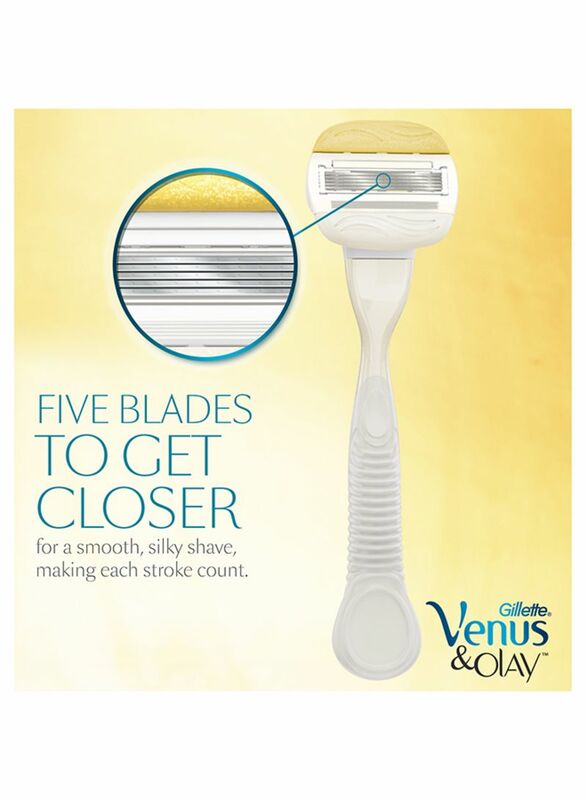 Olay Moisture Bars release skin conditioners while 5 blades get Venus-close, boosting your shave and giving you a pleasurable experience. 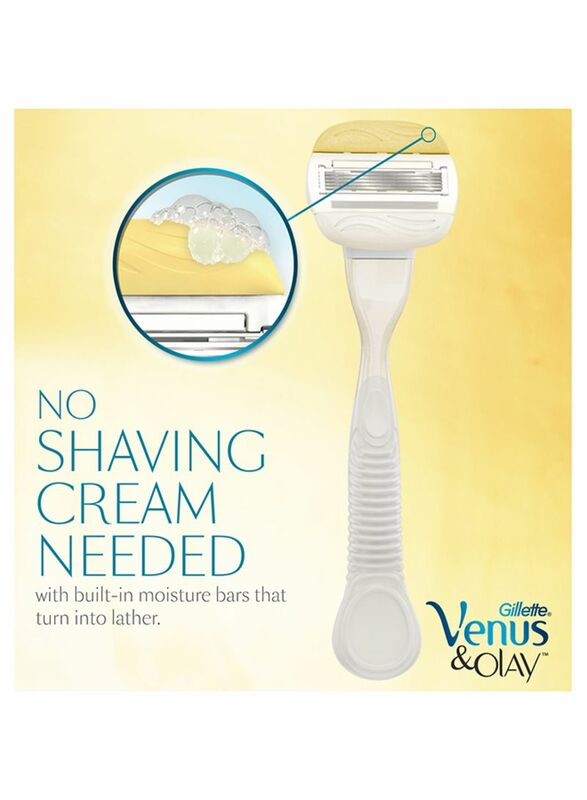 No need for separate shave cream, just wet the razor to activate a light lather. 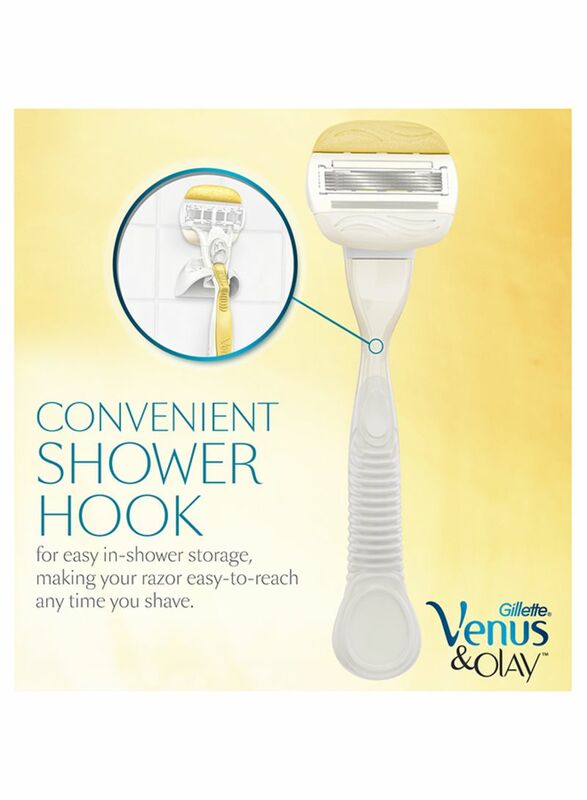 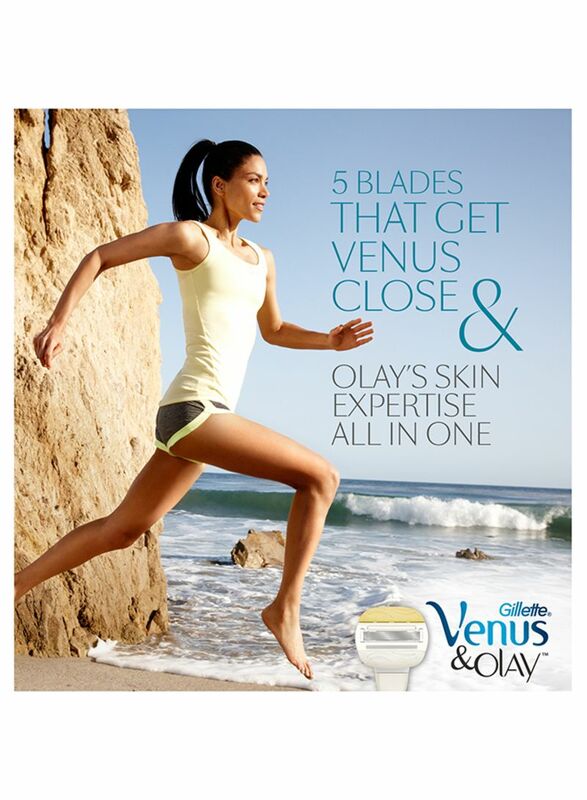 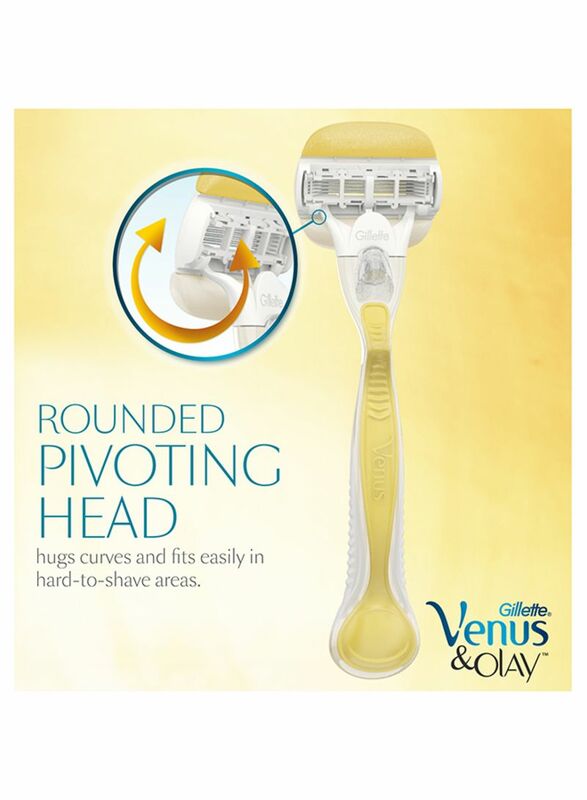 Venus’ best shaving technology and Olay’s skin expertise all in one - a match made in skin heaven.